Amaya Arberas (soprano) was born in San Sebastián, Spain, where she pursued studies at the Conservatorio Superior de Música and took voice classes with José Ramón Arteta. In New York, she studied voice with Diana Soviero and Beth Roberts and repertoire with Joan Dornemann. Her repertoire includes opera, zarzuela, oratorio, and concert arias. She sang Handel’s Messiah, Mozart’s Requiem, Pergolesi`s Stabat Mater, Rossini’s Petitte Messe Solennelle, Haydn’s Die Schopfung at various venues in Spain, and interpreted the roles of Barbarina in Le Nozze di Figaro (Mozart), Adina in L’Elisir d’amore (Donizetti) and Norina in Don Pasquale (Donizetti). She has performed at the Conde Duque Auditorium in Madrid, and with the Symphony Orchestra of Puerto Rico. 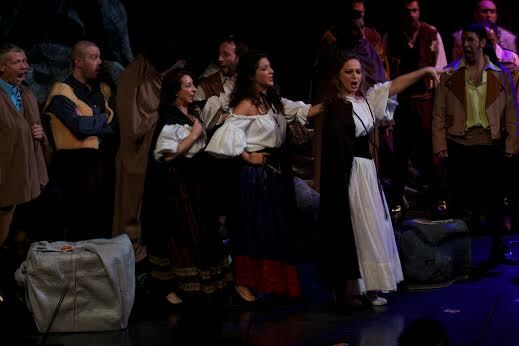 She sang the role of Ana Mari in the zarzuela El Caserío by Guridi. In 2010, she gave recitals in Spain, France, and the United States, including a debut at Carnegie Hall and at the Ellis Island Museum in New York. She sang Marquesa in the Zarzuela El Barberillo de Lavapiés (Barbieri) in la Rioja. She sang the cycle” Neun Deustche Arien”by Handel in various Barroque Festivals in Spain. In 2011, she debuted with the role of Donna Anna in the opera Don Giovanni (Mozart) at The Symphony Space in New York. She offered a recital of zarzuelas, sponsored by the Cuban Cultural Center at Lincoln Center in New York, conducted by Pablo Zinger. Ms. Arberas performed with Suite Hispania at the Repertorio Español in New York in 2010 and 2011. Amaya is one of the finalists of the “Nico Castel International Singing Competition 2012”. Also she has been nominated for the 2012 ACE Awards in the category of best Actress- Singer for her performance in “ Amores Quebrados” with the ensemble Suite Hispania in New York. In May 2012 she offered a recital at the Instituto Cervantes of New York.She offered a recital at the Baruch Performing Arts (NYU) with the guitarist David Galvez and the pianist David Shenton. She sang at the Exhibition” 75º Anniversary of the Gernika Bombing” at the King Juan Carlos I center (NYU). In October she sang the role of Poppea in L’incoronazione di Poppea (Monteverdi) at the Symphony Space with the New York Lyric Opera and the role of Vespetta in Pimpinone (Telemann) in Baltimore and New York with IAVA. She is a FINALIST OF THE AMERICAN PRIZE IN ART SONG DIVISION, Friedrich & Virginia Schorr Memorial Awards 2013. She currently resides in New York City. In February 2013 she sang at the Euskal Etxea of New York to commemorate the 100º Anniversary of the Institution with the pianist Josu de Solaun and the violinist Alma Ramirez. 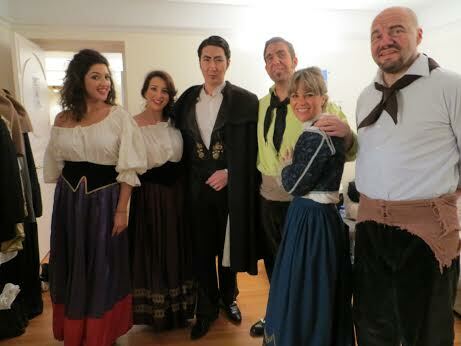 In March she sang with Opera Hispanica at the “Zarzuela Festival” at the Queen Sofia Spanish Institute. In April she sang a concert to commemorate the 50th Anniversary of Ernesto’s Lecuona death with sponsored by the Cuban Cultural Center of New York and conducted by Pablo Zinger. In April she debuted with the role of Vitellia in the opera “La Clemenza di Tito ( Mozart) at the Bruno Walter Auditorium, sponsored by the New York Lyric Opera. 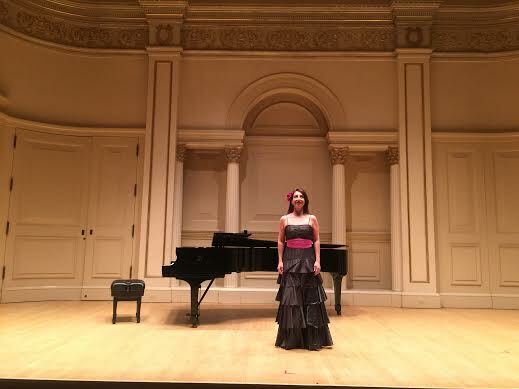 In May she offered a recital at the Baruch Performing Arts. In October she performed at Teatro Victoria Eugenia of San Sebastián. In November she sang with Suite Hispania at the International Book Festival of Miami.